When you move to a new home or apartment building, it’s important that you know the trash removal and waste management laws of that particular area. Does the area recycle? Is it mandatory? Is there a higher cost if you include recycling? What day is garbage pickup? Knowing these facts can help smooth out your move-in and keep you from having to pay accidental fines later on down the road. In some cases, there may not be curbside pickup — you may have to go to a waste removal center with your recyclables and garbage. Your area may also have specific rules about what can and cannot be put in curbside trash, how to dispose of larger items (like appliances) safely and correctly, and how to properly dispose of hazardous material. What your new area recycles may also differ from where you previously moved from — so make sure you’re checking that out too. We produce a lot of trash. In one person’s lifetime in the United States, they’ll toss 600 times their weight into a garbage can. In general, we produce at least four pounds of trash per day. Luckily, in recent years, there’s been a bigger push for recycling (and recycling effectively), especially in cities. Indeed, currently, almost 90% of Americans can access curbside or drop-off paper recycling programs. Just recycling one ton of cardboard can save nine or more cubic yards of space in the landfill. Considering that organic material is the biggest part of municipal solid waste, followed by paper and cardboard (at 27%) and yard trimmings/food coming in at 28%, it stands to reason that more of our waste can be recycled. Recycling initiatives can also save towns and cities money — it costs just $30 per ton to recycle and $50 to cart it off to a landfill. I’ve Heard People Talking About a Waste Hierarchy. What Is It? 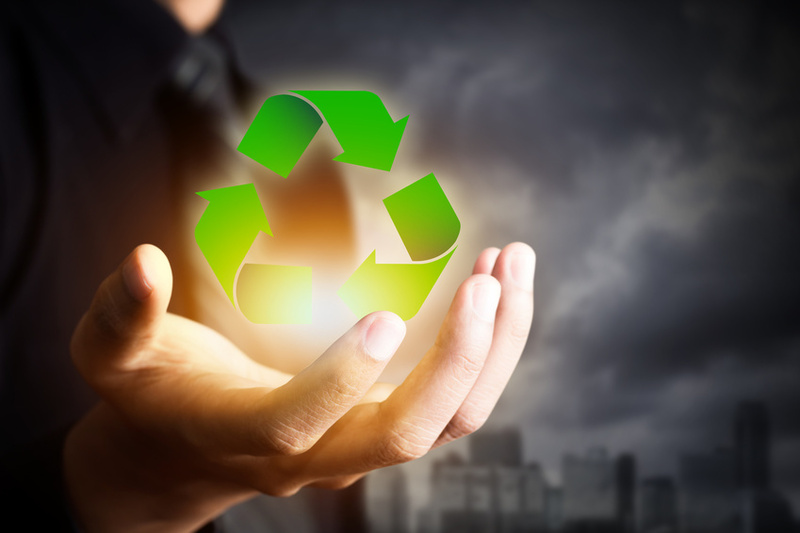 The waste hierarchy is essentially a list of priorities to help use resources efficiently. It lists actions to take to limit the amount of waste that households, industry, and the government produces. There are “three R’s” in the waste hierarchy for easy memorization, that help classify waste management tactics ranked in how well viewed they are in terms of cutting back on waste. Reduce, reuse, and recycle are the three R’s. It’s great to for households and businesses to be aware of these three R’s, as it can help them save money and the environment in the long run! A greener planet helps us all! Be conscious of what items you buy, how you correspond at work or at school (do you print double sided and email whenever possible? ), and ways you can reduce your waste. Think about purchasing a reusable water bottle or coffee mug, donate used clothing or appliances, and bring your own reusable bags to the grocery store. What Shouldn’t Go In My Curbside Trash? Most of this is common sense — if the lid can’t close securely over it, you shouldn’t put it in the trash (so think, bulky items like broken rakes, appliances, etc.). If you have an oddly shaped product to dispose of, your trash removal service can often arrange for a special collection or removal, but you should be in touch with them. Potentially flammable or poisonous materials like paint, paint thinners, insecticides, fluorescent bulbs, medical waste (especially needles! ), oil rags, oil filters, electronics, tires, or batteries should also not be going in your curbside trash. These items need special handling and once again, you should be in touch with your trash removal service. If your area does engage in recycling practices, plastics and paper should be separated and not lumped together with your curbside trash. Some cities and towns might even impose a fine if they catch recycling in with your trash. The more mindful we are of our waste disposal habits, the more we can reduce waste and increase space in landfills, saving everyone land and money. Knowing your area’s waste and recycling guidelines is important for keeping things orderly and efficient. This entry was posted	on Tuesday, September 6th, 2016 at 9:31 pm	and is filed under Garbage pickup, Garbage pickup grand rapids, Grand rapids waste disposal. You can follow any responses to this entry through the RSS 2.0 feed. You can leave a response, or trackback from your own site.